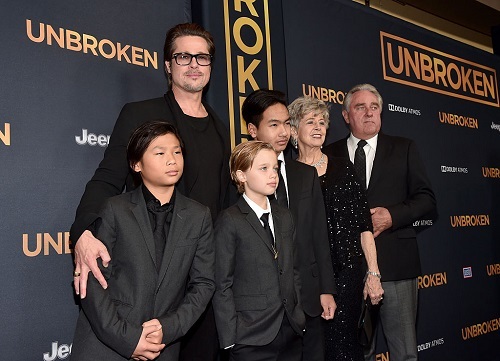 Brad Pitt just can’t catch a break when it comes to Angelina Jolie and their six children. New reports indicate that the Hollywood actor spent Father’s Day alone this year as Angelina was spotted jetting off with their six children on Sunday, June 18. Angelina had a huge smile on her face when she was spotted making her way through Los Angeles’ LAX airport with her six kids, Maddox, 15, Pax, 13, Zahara, 12, Shiloh, 11 and 8-year-old twins Knox and Vivienne. Clearly, she had no intentions of leaving the children at home to be with Brad on Father’s Day. Instead, she made sure that they would travel with her on a family holiday, leaving Brad one again on his own. Many fans believe that Angelina is pulling all the strings behind closed doors in her divorce and custody battle with Brad. She could have easily left the kids to be with Brad on Father’s Day, but she chose not to let that happen. Instead, she paraded them in front of the paparazzi at the airport, sending a clear message to both Brad and the press. Simply put, Angelina is going to do what she wants, when she wants to do it. She’ll take her children on both Mother’s Day and Father’s Day, regardless of what anyone has to say about it. For Brad though, this has to be the worst Father’s Day of his life. He never imagined that he would be spending the holiday sitting at home all by himself. That’s why he’s decided to focus on renovating the ex-couple’s old family home in Los Angeles. Right now, the only thing that Brad can do is wait and hope that he’ll win more time and custody of their kids so he can at least spend Father’s Day with them in the future. He can’t spend Father’s Day by himself every year. So far both Angelina Jolie and Brad Pitt have not made any comments about their custody battle. Brad has made it no secret that he doesn’t want to see any of their dirty laundry make headlines. And while Angelina is forced to keep quiet, she’s decided to hit Brad where it hurts the most by taking their children away from him. In the meantime, don’t forget to check back with CDL for all the latest news and updates on Brad Pitt and Angelina Jolie right here! 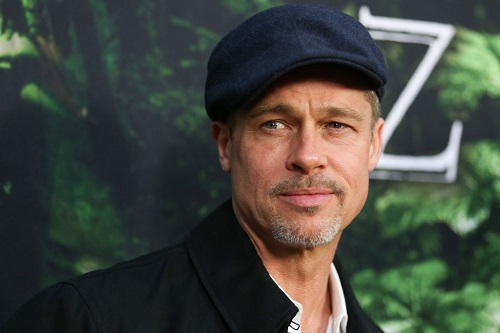 Brad Pitt Has Overnight Visit With All Six Of His Children – Making Amends After Plane Incident? Brad Pitt Divorce Woes: Angelina Jolie Marriage Problems Cause Actor To Lash Out Violently, Crumbling Under Pressure?